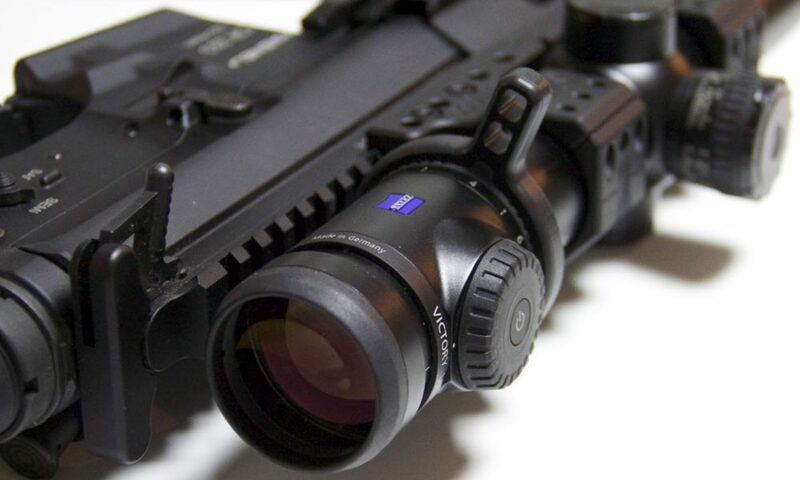 A throw lever enables you to quickly adjust the magnification on your scope during a course of fire in a competition. All my throw levers are milled from POM-C. A threaded steel insert and an M3 screw are used for mounting the lever in place. A minimum clearance of 7.6 mm is required under the magnification ring. This could be an issue with very low scope rings and some one piece scope mounts. Please measure your clearance before you order. Hint: 8 mm drill bit or allen key makes an easy gauge for measuring your clearance. If you are planning to use the lever with a bolt action rifle, please note that it is possible that the lever handle may interfere with the movement of the bolt handle. This all depends on your combination of rifle, scope, rings, etc. More lever models will be added every now and then. Currently all levers are made to order. Orders are mailed out within 7-14 days on weekdays. Please note that you are buying from a hobbyist operating hobby grade machinery. The parts that I’m selling are fully functional and can take a beating, but the finish is not always very nice. That means visible tooling marks etc. Milled from black HDPE. This is slightly thicker than the original 0.5″ pad. Excellent for competition use, as plastic pad does not stick to your clothing like the OEM rubber pad does. Does not come with screws. Mount with the screws that came with your stock. I have posted this pad design on Thingiverse, so if you own a 3D printer, you may print your own pad for free. ABS or PETG should work fine. Different colors were requested, so I have now added the option to choose the color of the pad. Allen key – 0.20 € — Don’t have metric allen keys? No problem. This 2.5 mm allen key represents the finest Chinese tool steel 20 cents can buy. Pure shiny chinesium. Do not try to use for any real work.